Rui told us his girlfriend absolutely loves baking cupcakes. They were holidaying in London but are originally from Portugal. His girlfriend Lia is obsessed with baking, literally obsessed. 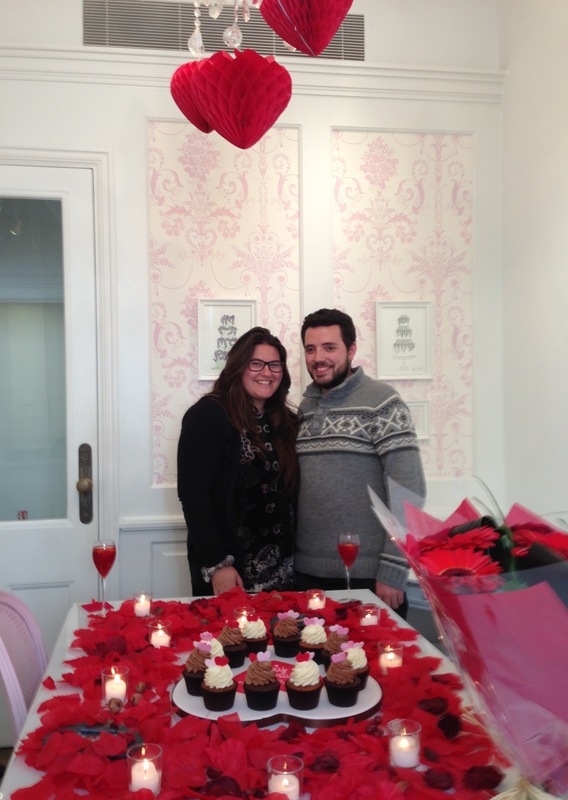 We hired a private room in the Peggy Porschen shop and decorated it elegantly with proposal props, candles, flowers, petals and specially red current champagne – all to match the red romantic theme! 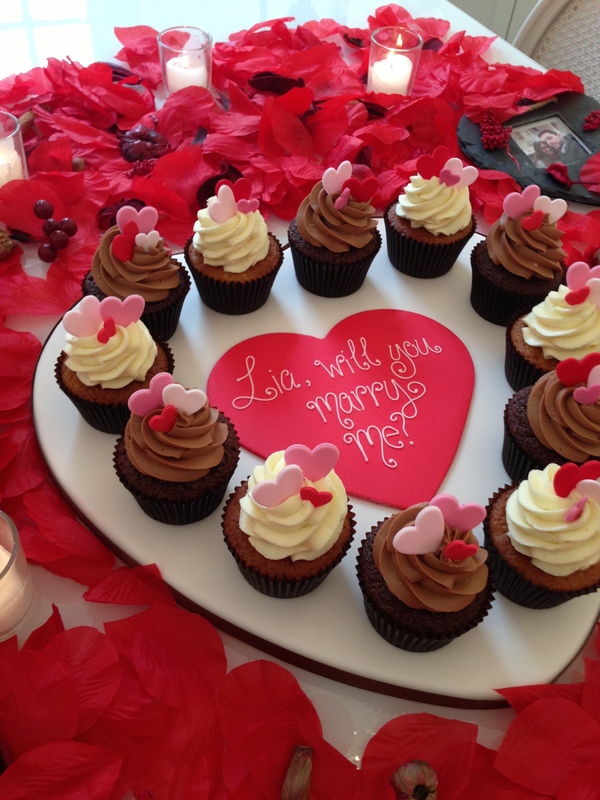 Lia of course jumped at the chance…she was taken to a private room where she immediately spotted ‘Will you marry me Lia?’ written in cupcakes. What could be more personalised to her and super romantic?! It was the perfect proposal for this special couple. A huge congratulations from The Proposers! !